Home Chennai Leather sari, Anyone? ADV, by designer Aarti Deepak, had more than 250 walk-ins in the first week of opening, and somewhere in between, her heavy anarkalis and tunics were sold out. The biggest hit, it appears, is a black and grey leather sari. Created with set pleats and a five and half metre long zipper cutting rightthrough the middle a�� so it can be separated and worn as a kurta suit a�� it has inspired her to think unusual. 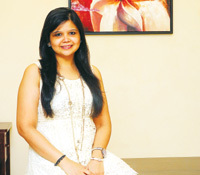 ADV (Aarti Deepak Venkata-chalam) caters to women of all sizes, and the designer says, a�?I have created well-fitted clothes to complement women with toned bodies, while for plus-sized women there are gowns and dresses with attached drapes that act as camouflage,a�? explains the designer who has formerly worked with the sari store, Pothys. With a degree from Istituto Marangoni, Milan, where she was awarded the Student Designer of the Year 2011, Deepak loves the western silhouette. 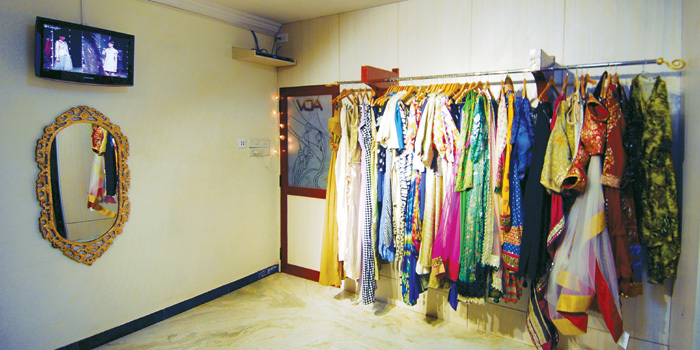 The store has long gowns in chiffons, georgettes and lycra, crop tops, layered dresses, saris and sari gowns. Dona��t miss her high polo-necked dresses made with crochet and Madras fabrics. Deepak has also worked on wedding orders. Her stint in Milan saw her working at the Milan Fashion Week 2011 as part of the Gucci team. 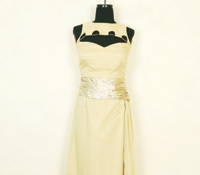 Addicted to gold and cream colours, Deepak says, a�?I think gold defines me. Youa��ll also find a lot of gold, peach and skin shades in my clothes.a�? Future plans include accessories, menswear and an e-store.